WordPress is free yet priceless and I believe it is the number one tool any Real Estate agent can have in their arsenal. When it comes right down to it, Social Media & Blogging are turning the real estate profession on its head. The thought of providing free information to consumers and communicating with consumers on their terms is completely foreign to the traditional Real Estate Agent mindset. Once an agent sees what WordPress can do for them (in terms of SEO and marketing) they quickly realize it’s greatest business tool ever created! 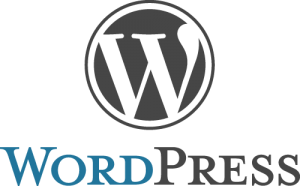 The WordPress platform is free, easy to install and configure, Google friendly and cheap to host. To learn exactly how (step by step) to setup a wordpress blog visit my post on Blogging for Real Estate. What’s the difference between WordPress Pages, Posts and Categories? Pages are static content that does not change and may or may not have comments attached to them! Posts are more timely, you would add posts several times a week on subjects that might interest your target visitors. Usually displayed in chronological order within multi-post pages! Categories are a way of grouping and sorting your posts under logical headings. If you didn’t already choose a theme during the install you’ll want to do that now. Then you’ll want to configure the plugins. Most plugins are free! The other important thing to note is some plugins are here today and gone tomorrow, so at the time of this writing I am giving you a small list of my preferred WordPress plugins. This was a guest post by my friend Drew. If you didn’t read his post on Blogging for Real Estate you should really check it out, he shows you everything you need to do to get your wordpress blog setup. Before you run off and setup your blog, I want to give you a sneak peak of what’s coming up. Keep an eye out for my next post where I’ll show you how to save countless hours by outsourcing the blog setup freeing you up to do the stuff that’s more fun — testing keywords using adwords.